Smokeless tobacco is just as bad for your health as smoking cigarettes. Chewing tobacco stains your teeth, causes bad breath, mouth sores, and cancer. If you use smokeless tobacco, talk to your HCP about how to quit. The most common types of smokeless tobacco in the US are chewing tobacco, “plug”, “twist”, “snuff”, “snus”, and dissolvable tobacco products. All of these products are made from tobacco leaves, but they can be used in different ways, have different packaging, and may have added flavoring. Chewing tobacco pouches hold loose, sweetened tobacco leaves. Plug is loose tobacco leaves that have been sweetened and pressed into a brick shape. Twist is loose, flavored tobacco leaves that have been braided and twisted into strands. Snuff is either dry or moist finely ground (or shredded) tobacco leaves that come in tins or pouches. Snus is a smokeless and spitless tobacco product that comes in a pouch. Dissolvable tobacco products look like hard candies and are made of compressed powdered tobacco. 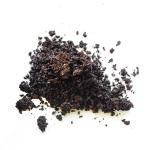 The various forms of smokeless tobacco are used in different ways. All forms are bad for your health! Depending on the product, users may chew the tobacco and spit or swallow the liquid, sniff (dry tobacco), let it dissolve in their mouth or leave it in their mouth for a while and throw it out later (snus). Research shows that about 15% of male teens and 3% of female teens use some type of smokeless tobacco. Many professional baseball players use smokeless tobacco which may glamorize its use however, these players are often addicted to it and are at risk for many health problems. The American Cancer Society found that about 8.2 million people in the United States aged 12 and above use it, and about 44% started before age 18. What can using smokeless tobacco do to me? Most people don’t realize that using smokeless tobacco is just as dangerous as smoking it. Smokeless tobacco is definitely not a safe substitute. In the short term, you’ll have bad breath, stains on your teeth, and mouth sores. Your heart rate and blood pressure to rise and your heartbeat to become irregular. This can lead to a greater risk of a heart attack or stroke. Your risk of developing cancer of the mouth, lips, tongue, esophagus, stomach, and bladder will go way up. These cancers are very serious. Only about half the people diagnosed with mouth and throat cancer survive more than 5 years after being diagnosed. You can’t get rid of the stains on your teeth by brushing them, and tobacco juice stains can also ruin your clothes and other fabrics. Other people (including guys or girls you might want to date) will probably find the smell of your breath unpleasant. It’s expensive. A 2-can-a-week dip habit costs about $300 per year, and a pouch-a-day habit costs over $700 per year. Think about what you could do with the money you’d be saving – you could put it towards savings for college, a car, a vacation, etc. What if I only chew once in a while? Can’t I just stop whenever I want? Many people don’t realize they’re addicted, and they think that they can quit using smokeless tobacco anytime they want. Unfortunately, nicotine (the drug in smokeless tobacco and cigarettes) is addictive. There is actually 3-4 times more nicotine absorbed in the body using smokeless tobacco compared to cigarettes. So even if you only chew once in a while, you’re at risk of becoming addicted. How do I quit using smokeless tobacco? Tell your family, friends, coaches and health care provider that your goal is to quit so they can offer you support. I fyour friends use smokeless tobacco, ask them not to use it around you. Cutting down slowly then picking a final quit day may work better than trying to stop “cold turkey.” Ask your health care provider about whether using nicotine gym or a nicotine patch is an option for you. Try using substitutes such as tobacco-free mint leaf snuff, sugarless gum, hard candy, beef jerky, sunflower seeds, or dried fruit. Exercise – it will help you relax, curb cravings, and boost your energy. Eat regular, well-balanced meals. Hunger can be mistaken for a tobacco craving. Using smokeless tobacco is not a safe alternative to cigarette smoking. It may be challenging to quit but YOU CAN DO IT! Expect to have cravings when you first quit. However, if you don’t succeed on the first or second try, try again. Remember, withdrawal symptoms will get better every day you don’t use tobacco, and the worst will be over after 2 weeks.